The only peculiar behaviour exhibited by the deformed twin, is a big appetite. Apart from that. She is normal like any other baby. Have you forgotten that I carried her in my womb for nine months? 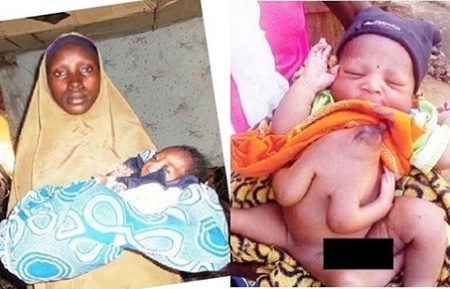 I love my daughter and I know that she is human, despite her physical challenge," Hawwa’u said, adding that she has given birth three times before now, making the twins her fourth delivery during her six years of marriage.